IN RECENT years, cacao has become synonymous with Davao. With the huge bulk of production happening in the region, Davao has been aiming to be the “Cacao capital of the country”, but this hallmark might just be a tip of the iceberg for the global market opportunity for cacao. Turtur said earlier that indeed there is a huge opportunity in the export market for cacao given with the increasing demand of chocolate production and manufacturing in the European countries. 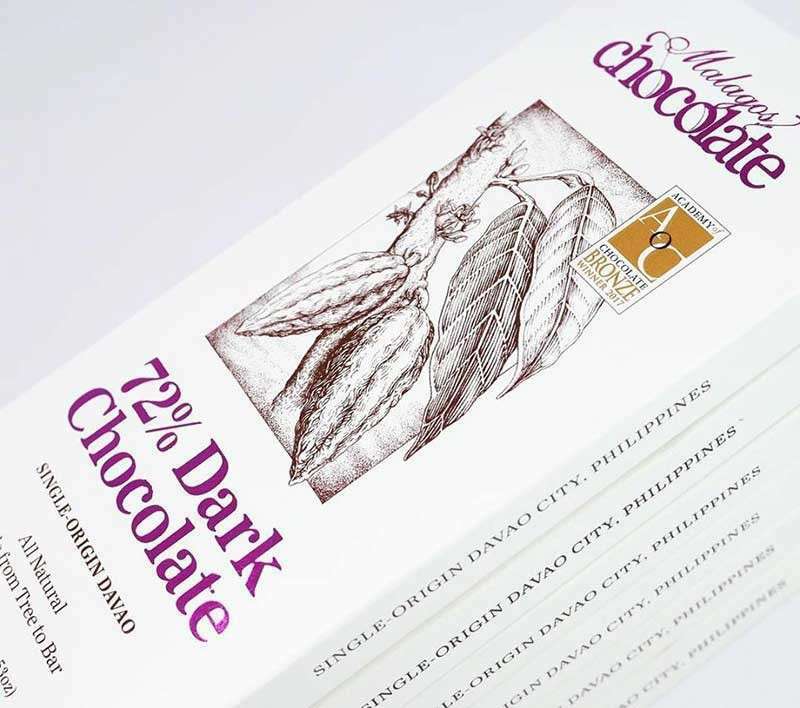 Turtur added Mindanao’s chocolate products are already recognized in the international scene. This year’s Academy of Chocolate of the United Kingdom awarded Malagos Chocolate for their quality-made chocolate. Malagos got two awards for the tree-to-bar category earning bronze, and for the drinking chocolate category earning both silver and bronze awards. However, despite the recognition of local chocolate makers, there is still a long way to go for the region in catching up with the international cacao scene. Turtur said Davao region’s production of around 5,750 MT in 2017 is not enough to meet the global demand of about 100,000 MT. Data from Philippine Statistics Authority show that in 2017, Mindanao produced a total of 6,362.92 metric tons (MT) of cacao. Out of that number, Davao region contributes the bulk of the cacao production amounting to 5,752MT. 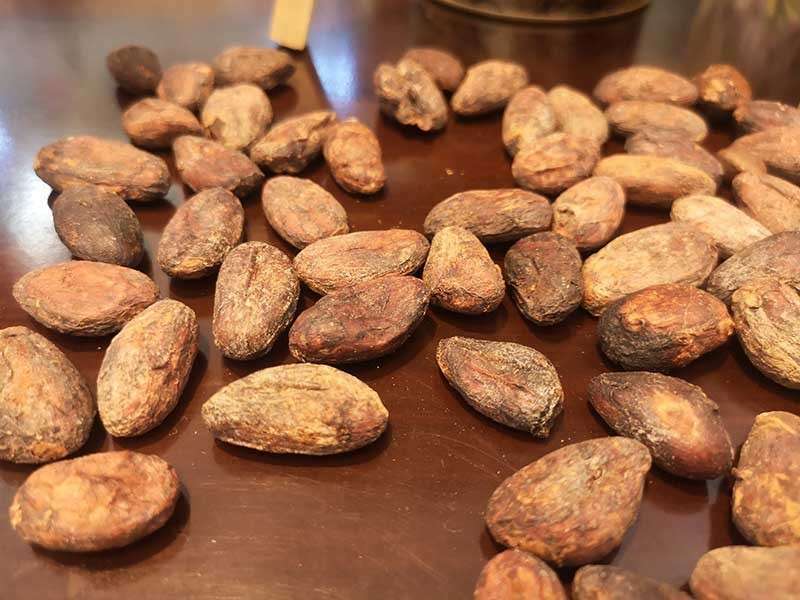 This year, initiatives from the foreign business sector have already been aiding Dabawenyo farmers to venture into cacao planting in order to meet the demand gap. 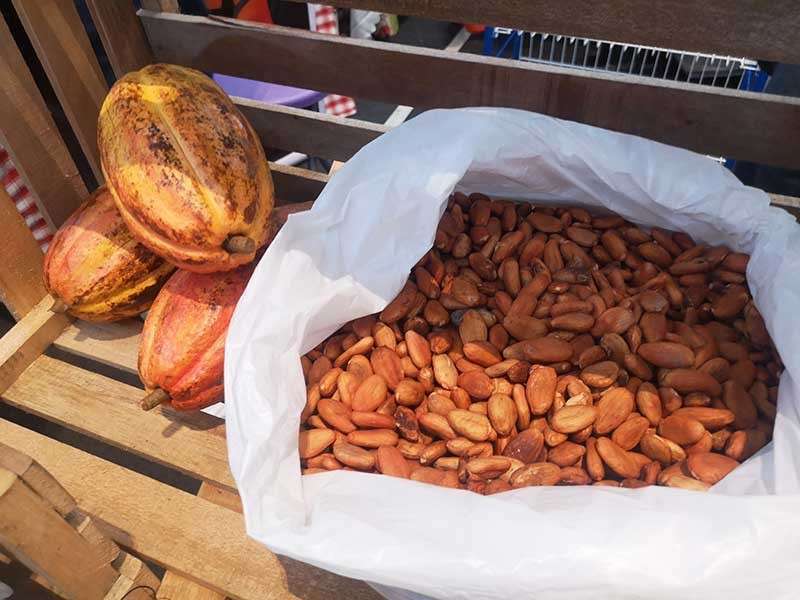 Earlier in September, Grand-place Puratos, a client of Kennemer Foods International, granted cash bonus incentives to almost 2,000 Dabawenyo cacao farmers to entice and sustain more cacao planting. The cash incentive was also a way to engage cacao trading with small Dabawenyo cacao growing community. The bonus is based from the farmer’s volume of cacao sold to Puratos. “It is important that we encourage many cacao farmers for the production of cacao and sustain the cacao industry” Luisito Medina Cue Jr., Puratos Philippines general manager said during the Chocolate Bonus Distribution last September. Turtur said for this year, cacao farmers are becoming more adept in meeting the demand of the chocolate industry. “Dati grading lang ang training sa mga chocolate ang ginabuhat karun apil na sa flavoring kay lahi-lahi man na (Before the trainings which were conducted were only on grading chocolates, but now it includes flavoring since there are a lot of flavor variations),” Turtur said.